The Kaua'i Museum located in the heart of Lihu'e town carries mostly locally made products from artists here on the island of Kaua'i. Such products include authentic Ni'ihau Shell Leis, Tahitian Pearls, Koa Products, and Quilts. 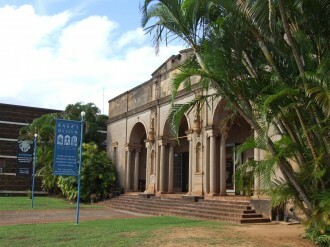 The Museum also houses the largest collection of books about Kaua'i. Purchase any "Kauai Made" marked product and recieve a FREE "Kauai Made" luggage tag.